What does it take to get the job done? 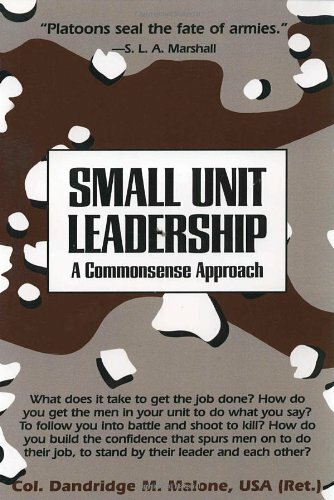 How do you get the men in your unit to do what you say? To follow you into battle and shoot to kill? How do you build the confidence that spurs men on to do their job, to stand by their leader and each other? These are some of the questions that “Small Unit Leadership” attempts to answer. 2. What is Army Leadership? Your Team: Low Skill, Low Will, Low Teamwork? Your Team: High Skill, Low Will, Low Teamwork? Your Team: High Skill, High Will, Low Teamwork? Your Team: High Skill, High Will, High Teamwork?